Affirmative Technology Group offers Computer & IT Service to Enterprise, SMB, Federal, Educational and State and local Government businesses since 1997. We are an established company with an excellent track record for great customer satisfaction. We believe in keeping the customers happy and providing them with products at a very competitive price. We have an excellent staff who will guide you with all of your IT needs. The firm and staff members have over 20 years’ experience related to order fulfillment, project deployment and timeliness to deliver. The core business of Affirmative Technology Group was the 5250/PC and 3270/PC keyboard product line acquired from BOS, Better On-line Solutions. Today at ATG we have developed additional keyboard driver software to support virtually any PC emulation software program running under Windows 3X/95/98/NT/2000/XP/Vista/Win7. 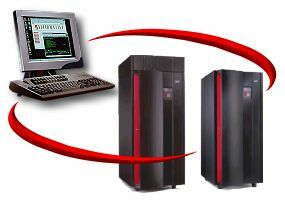 Using the keyboard business as a base, Affirmative Technology Group has added terminal, PC and Network terminal logic units, all of which use the original keyboard designs that function like terminal keyboards when using legacy applications but behave like PC keyboards when switching to Windows Applications.